NMath Premium 6.2.0 » Developer Team :: Best choice for developers! - Upgraded to Intel MKL 11.3 Update 2 with resulting performance increases. 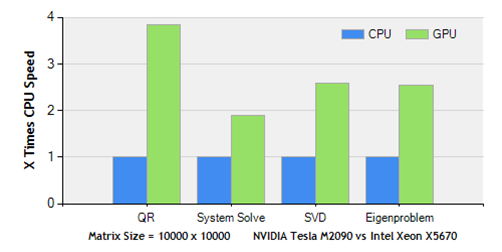 - Updated NMath Premium GPU code to CUDA 7.5.
machines automatically revert to CPU-only mode. - Added Visual Studio 2015 example solutions and visualizers. step size when the solution varies rapidly. class is similar to MATLAB's fzero() function. maximum number of seconds to spend in the inequality constrained QP solver. - Added PDF() and CDF() methods to class Histogram. conjugates of a general sparse matrix's elements. the problem is in fact a linear programming problem.